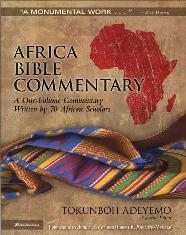 (Yesterday, I was asked for my opinion on the Africa Bible Commentary. This happens fairly often as I travel around in my itinerant preaching ministry. I decided to put a post on this blog of a book review that I did in 2006 on this commentary, soon after the commentary was officially launched in Africa. It is slightly dated, but I hope my readers will find it useful). Word Alive & Zondervan, 1586pp, hb. The guest speaker, Caesar Molebatsi, promised to be as short in his speech as he is in stature and then never kept his promise. Typical of him! All the same, he challenged the audience to ensure that this commentary leads us to an authentic biblical Christianity in Africa. I purchased my copy and got it autographed by him and Dr Adeyemo. Since then I have given the commentary “a good look” and thought of sharing some of my findings with our readers. You can already see that this is not the typical “book review” that you normally read in magazines. I readily admit that am too elated to stick to the rules! 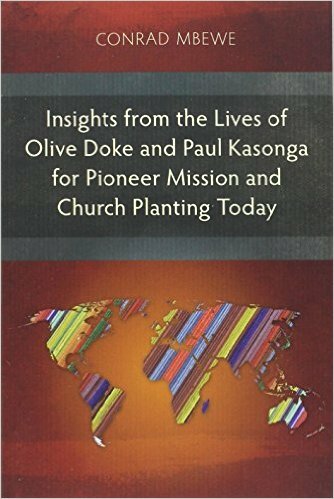 The first pleasant surprise I had when I opened the commentary was to find two well-known Zambian Baptist pastors – Joe Kapolyo and Joe Simfukwe – among the seventy African scholars who wrote parts of this commentary. Joe Kapolyo wrote the commentary on the Gospel of Matthew while Joe Simfukwe wrote an article on Funerals and Burial Rites. Both of these works are fine pieces of scholarship. The other contributors came from all over Africa – Angola, Benin, Burkina Faso, Central African Republic, Chad, Congo, Congo DR, Ghana, Eritrea, Ethiopia, Ivory Coast, Kenya, Malagasy, Malawi, Mali, Namibia, Nigeria, Rwanda, Sierra Leon, Tanzania, Uganda, and Zimbabwe – 23 countries in all. They sneaked in one “African American”, who did the two articles on widows, to complete the list. We were also informed during the official launch of the commentary that the contributors were 70% male and 30% female. Then in terms of denominations we have evangelical Anglicans, Baptists, Church of Christ, Lutherans, Methodists, Pentecostals, Presbyterians, etc. Conspicuous by its absence on the list of nations is South Africa, arguably the country with the strongest economy on African soil. What could this be saying about the state of conservative evangelicalism among the “black” churches there? Be that as it may, I do not know of any other work on African soil that has brought together so many African Christian scholars from such a variety of African countries. In Christ, we are truly united. Readers who are familiar with the one-volume commentary, The New Bible Commentary published by Inter-Varsity Press, will find many similarities between that commentary and the Africa Bible Commentary. 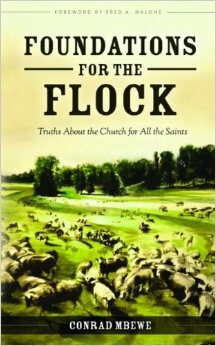 One of them is that the commentary is written from the perspective of conservative evangelical scholarship. (Tokunbo Adeyemo stated at the official launching of the commentary in Cape Town that the authors had to work within the doctrinal basis of the Association of Evangelicals in Africa). That is most refreshing because such scholarship is rare on African soil. The two major voices we are hearing today are either Liberal (in the seminaries) or extreme Charismatic (in the churches). This commentary steers clear of both of these positions, which, in my opinion, do not respect the finality and sufficiency of Scripture. So, anyone wanting a conservative evangelical commentary with a peculiarly African flavour will definitely find it in this commentary. As a reviewer coming from a Reformed Baptist position, I went straight to those “critical” passages that are foundational to the five Sola’s of the Reformation to see how they are commented on. I will readily admit that I came away fairly satisfied. Clearly, the commentators allowed the passages they were commenting on to speak for themselves – however uncomfortable that might be – which is an important aspect of conservative evangelicalism. Even the passages in Romans and Ephesians that teach God’s sovereignty in election and predestination are handled faithfully. Romans chapter 9 is brilliantly handled! However, it should not come as a surprise to the readers of this magazine to know that the commentary does not take a cessationist position on the extra-ordinary gifts of the Holy Spirit. The contributors assume that the extra-ordinary gifts of the Spirit are still in operation today. Thankfully, they do not give a wholesale commendation for what is happening today. Instead, as they write about them, they are constantly cautioning against the abuse of such “gifts” which is so rampant today in Africa. Even the writer of the commentary on Acts does a fairly balanced job despite the fact that he sees “altar calls” here and there, and thinks (on the basis of Peter’s citation of the prophet Joel) that “both men and women are qualified to be God’s ministers” and therefore warns against our traditional interpretation of 1 Timothy 2. Be that as it may, he certainly has the traditional Reformed interpretation of the receiving of the Holy Spirit by the Jews (chapter 2), the Samaritan (chapter 8), the Gentiles (chapter 10) and John’s disciples (chapter 19), i.e. that these events symbolised the initial inclusion of each of these groups into the New Testament church. What makes this a commentary for Africa is the way it is applied to the African context. All the books of the Bible, from Genesis to Revelation, are made to speak to us as Africans. The articles on various issues that are very relevant to Christianity in Africa are a great delight to read. Subjects such as HIV and AIDS, funerals, circumcision, street children, inheritance of widows, witchcraft and demons, lobola, tribalism, polygamy, land, debts, etc., will not be found in your average commentary from the West (or the East) but they are all handled in this one volume. The wealth of information that the contributors have managed to put together in so little space is just incredible. If one wants a small compendium of articles dealing with the many issues that challenge Christians in Africa today, then this commentary should have a place on their shelves. Of course, because of the limitation of space, it is not surprising that some of the articles fail to deal with the issues in a satisfactory way. I was particularly disappointed with the article on “the role of women in the church”. I think that the author betrayed his bias at the expense of telling us what he thinks the Bible actually teaches on the subject. For instance, he says absolutely nothing about the whole matter of female submission in mixed congregations – which is obviously the issue that the apostle Paul seeks to address. He needed to say something tenable about that even if it meant him finally leaving us with a view we would not agree with. Accusing those of us who see things differently from him as having “deeply entrenched patriarchal, hierarchical and sexist attitudes and practices” – which, in the language of the streets, simply means having “bigoted and old fashioned views” – does not really help. We too can call him all kinds of names but such name-calling does not serve God’s purpose. Thankfully, those who wrote the commentaries on 1 Corinthians and 1 Timothy make up for this deficiency to a large extent. 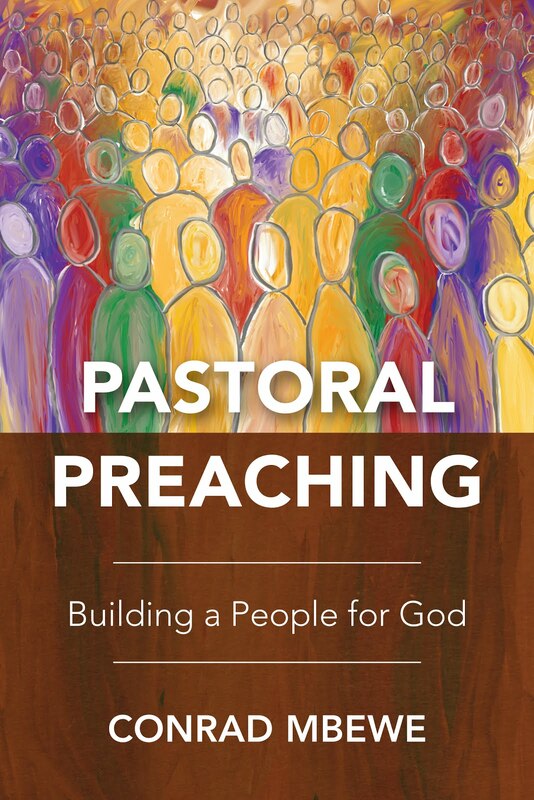 Having said this, I must not detract from the contribution that this commentary is poised to make towards the growth of evangelical Christianity in Africa. There will be a few areas where we must certainly beg to differ with the authors of the various articles, but it would be sad if for that reason we threw away the baby with the bathwater. We must be grateful that the general position of this commentary is healthy and biblical. So, for a commentary of this size, and therefore of this price (I bought mine for R310), with a conservative evangelical perspective on matters that affect life on the African continent, I cannot but commend it to everyone. If you can find something better, please let me know. Finally, let me comment on the list of well-known and respected recommenders on the cover. It says something. Standing out are authors like Rick Warren and John Stott. Rick Warren is the author of The Purpose Driven Life which has sold over 25 million copies world wide and is the best selling hardback book in the history of America. If you do not know John Stott then you deserve a belated welcome to planet earth! The only African on the list of the five recommenders is a high court judge in Nigeria, Justice James Ogenyi Ogebe. We should not blame the publishers for this. It should simply tell us that we African Christians do not know our own home-grown authors. Hence the publishers used authors from the USA and Europe to assure us of the high quality and trustworthiness of authors in our own back yard. We need to develop the whole area of publishing and marketing of books on African soil. Only then will this tendency of using people in the USA and Europe to recommend African books to us reduce. Until then, let Warren and Stott assure us as Africans that our fellow Africans writing about Africa for Africa have done a good job!